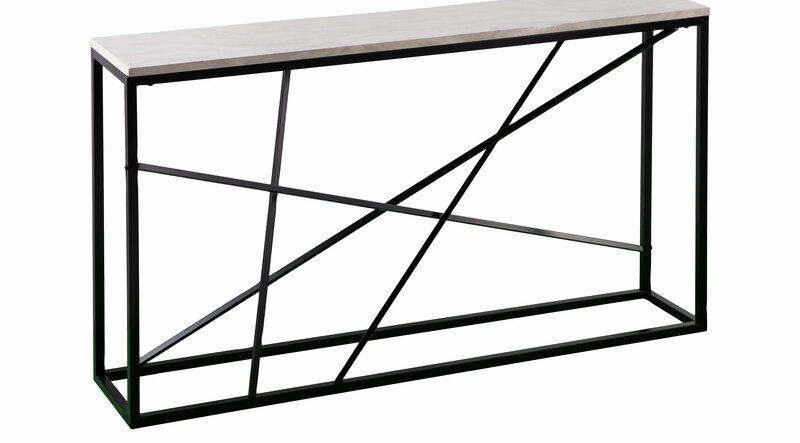 Create a style manifesto with this narrow, geometric Alderton console table. Black metal contrasts with white faux marble, creating a sleek mixed media look. Skinny console keeps a slim profile in the family room under your wall mounted TV or as a space saving valet table in your entry way. Place your favorite travel photos, statues, or flowers on top, and quickly design an eye catching, multi functional focal point. This media console table quickly and easily transforms every space with endless uses. Realistic, synthetic marble may vary.